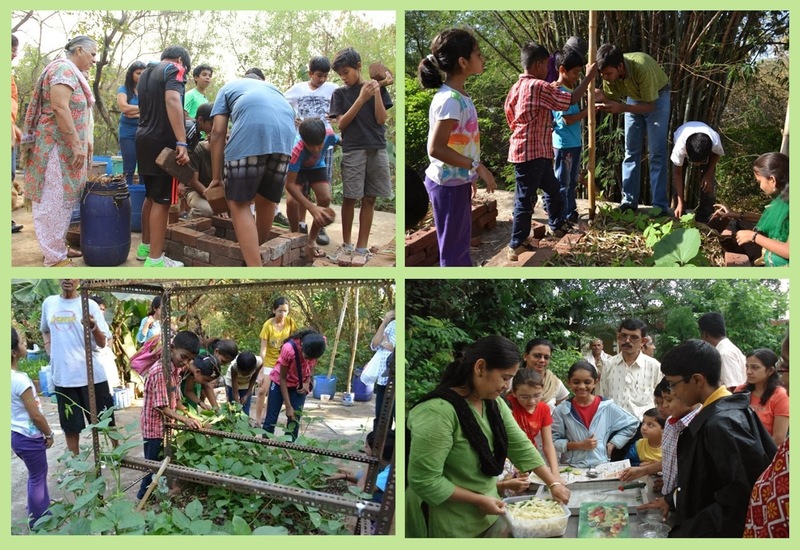 Bright happy faces, peals of laughter, scampering feet and infectious enthusiasm … Urban Leaves invites registrations for the Children’s Workshop on City-Farming. Discover the green space at Maharashtra Nature Park. Make the bed for the bountiful Amrut Mitti. Try out a recipe of the season’s offerings at Seva Café. Add a little green to beloved Mumbai and most importantly, take home seeds and ideas to start your very own kitchen garden. The workshop is designed for the age group of 4-7 years. Children in this age group will derive maximum benefit from the activities and content in the workshop. Rs 400/- each for adults (Rs. 300 for donors) in case the child is being accompanied by an adult. Due to space constraints, just one adult per child preferred. Children to come in rough and tough clothes, preferably covering as much skin as possible to avoid mosquito bites or with application of mosquito repellent. A cap too is advisable for the sun. Please carry water, a snack and a hand towel. Payment can be made via Bank Transfer/NEFT, Cheque/Cash Deposit in Bank, Cash payment to a volunteer or Cheque couriered to us. Please write the Participants name (in case the cheque is sent by someone else), registration number and contact number on the back of the cheque and please do mention "URBAN LEAVES : CHILDREN'S WORKSHOP ON CITY-FARMING" on the envelope.